A wire core makes this nose piece fully adjustable. Specially developed rubber on top of the wire core guarantees a superior grip during almost any activity. 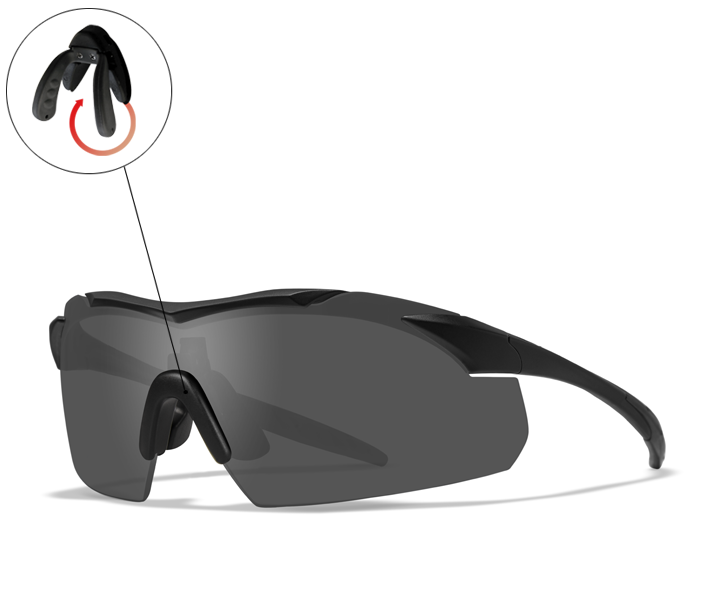 The rubber is also very robust and so comfortable that the glasses can be worn all day without any discomfort.